Sean Szymkowski March 14, 2018 Comment Now! 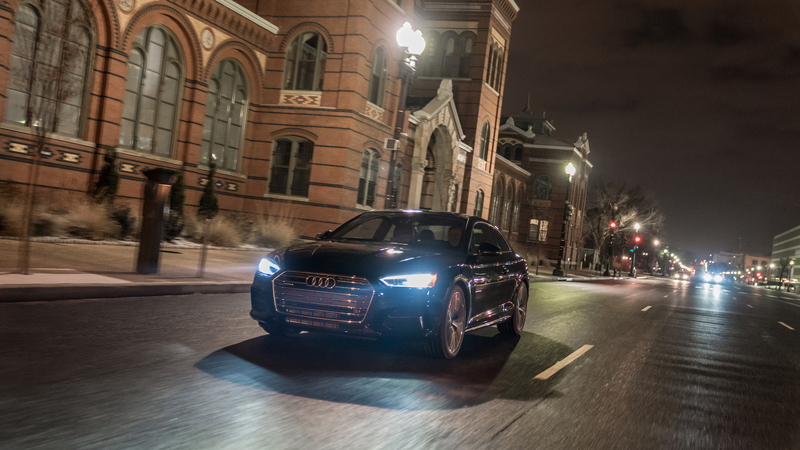 Slowly, but surely, Audi's Traffic Light Information (TLI) system is expanding across the United States. 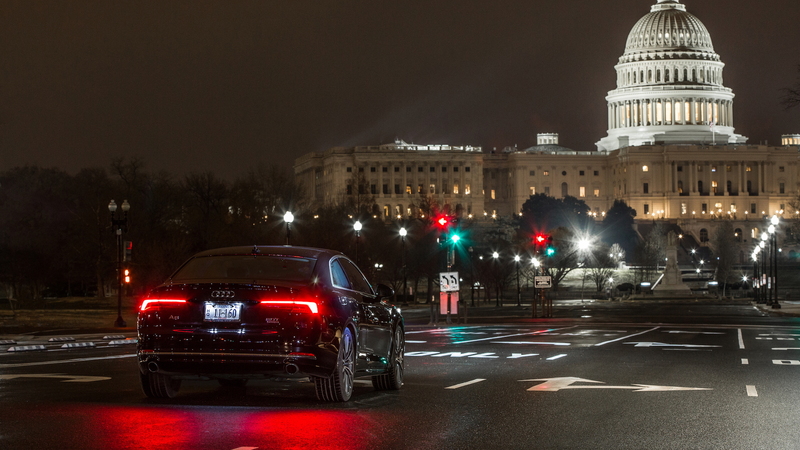 The system launched in Las Vegas, Nevada, just over one year ago, but it's now landed in the nation's capital: Washington D.C.
Audi vehicles in D.C. will communicate with 600 smart intersections that will relay the amount of time before a traffic signal turns from red to green. The vehicle receives real-time information from the traffic signal via the car's onboard 4G LTE connection, which produces a countdown timer in the gauge cluster or head-up display if equipped. Audi believes it reduces stress and anxiety for drivers as they sit in traffic. In our first test of the system in 2016, we said it's more than that, however. It's merely one major marker as the auto industry moves to increasingly connected cars and vehicle-to-infrastructure technology—a baby step toward fully connected, self-driving cars. BMW offers a similar solution via EnLighten, though it's not nearly as advanced as Audi's TLI. 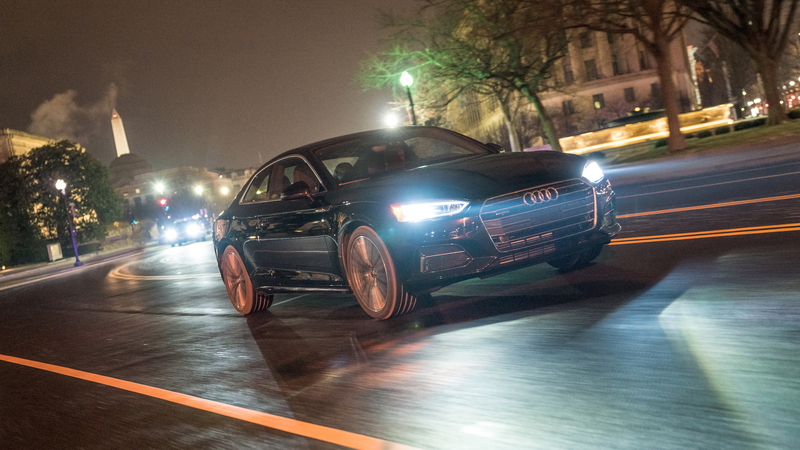 Aside from D.C. and Las Vegas, Audi has introduced the service in Dallas and Houston, Texas; Palo Alto and Arcadia, California; Portland, Oregon; and Denver, Colorado. 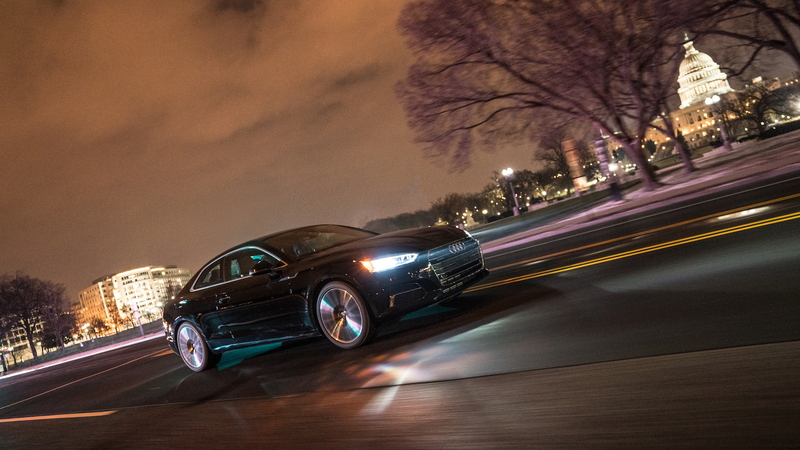 In the future, as Audi works to roll out TLI to more metropolitan areas, the system could work in concert with the car's stop/start system to reduce emissions. Further out, it could help control speed as the driver approaches a red light and suggest navigation routes based on traffic signals. 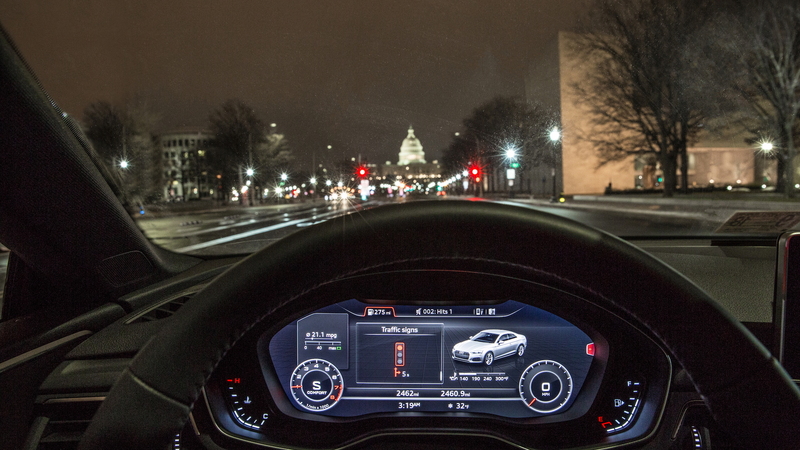 For those outside of the areas in which TLI operates, Audi has a technological treat for everyone this year. Soon, Audis will be able to pay tolls on the fly.